Explore southern Italy’s captivating landscapes and some of the world’s oldest dwellings on this half-day private shore excursion from Bari. 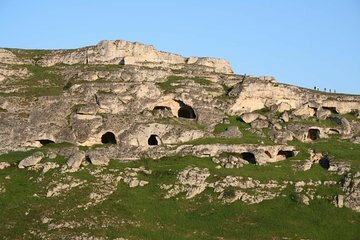 Visit the World Heritage site of Matera and the ancient city of Sassi for a guided tour of fascinating rock dwellings and underground cave churches. Learn about the mysterious civilizations that once thrived here as you wander through a labyrinth of old homes and cellars carved directly into the cliffs. Enjoy the personalized attention of a private guide and port pickup and drop-off for an unforgettable day. Our tour was scheduled 30 minutes after ship arrival at port. We waited 1 hour and no one ever showed up. I called the two numbers I had to call to make contact with the local tour guide numerous times. One of the numbers were not working. The other number I only received a recording. Very disappointing when we paid for this well in advance.